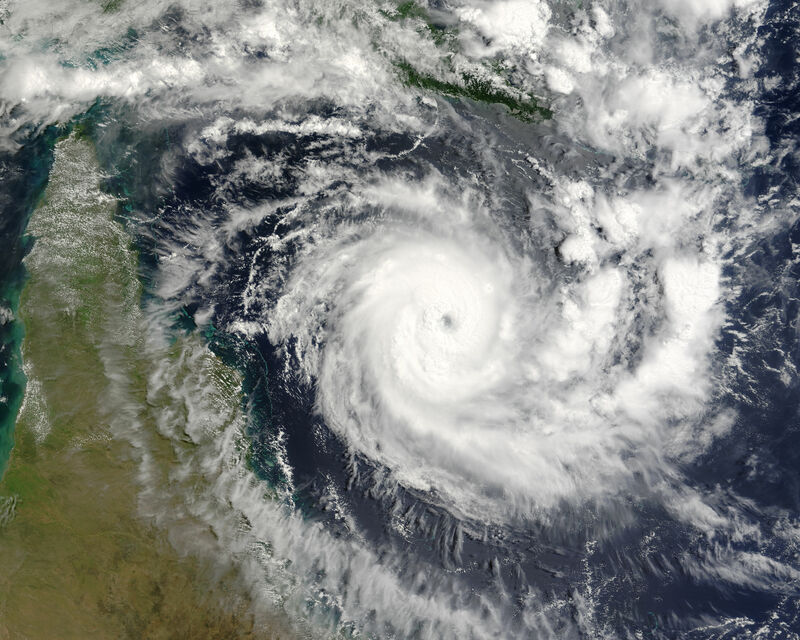 5 Tips for Surviving A Cyclone | Writing. Life. Stuff. Growing up, I got to experience the eye of a cyclone travelling right over our tiny coastal town. I remember building a mattress fort with my twin and listening for hours as the wind howled through the louvres and rain pummelled the side of the house. When the eye finally swept over us and we all headed outside, there was something magical about the dead calm, dripping palm fronds and clear night sky. Ten minutes later, the wind roared back to life and we rushed for safety. Now, going outside at any time during a cyclone makes you a dumbass in the eyes of the authorities, but it’s also kinda a prerequisite for being a local. As is stocking up on beer, chips and chocolate instead of water, batteries and baked beans. 1) Eating all of the ice cream is a fiscally mature response to the threat of power failure. 2) Throwing the trampoline into the pool to stop it from flying away will not be your brightest idea. 3) Putting your pets in a room will keep them safe, but those stains are never coming out of the carpet. 4) If the glass windows begin bowing and flexing from the wind, close the curtains and pretend you saw nothing. 5) If you lose the roof, hide under a mattress and hope it wasn’t the one your mate Wozza threw up on two weeks ago. Cyclone Marcia isn’t going to hit my town but my twin, cousins and their families are in the direct path. Like true locals, they’re resentfully clearing their yards, securing fly-away items and checking over their beer and chips stash.